Google, by far the world’s most popular and influential Internet search engine, has inexplicably buried a popular eurosceptic website on the second page of search results on the topic, the website’s founder has claimed. He said the Internet giant is “corrupt” and implied it supports a pro-European Union (EU) agenda, just one day after the EU revealed it is working with Facebook, Twitter and (Google-owned) YouTube to promote “alternative narratives” it supports. 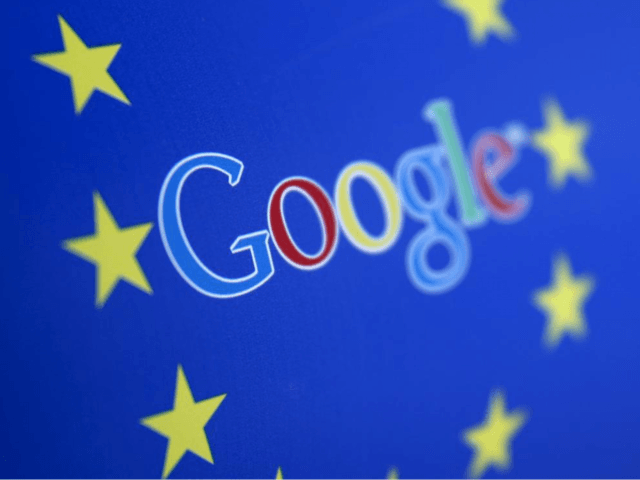 Just yesterday, Google’s public policy and government relation’s director, Lie Junius, said the firm was, “pleased to work with the [European] Commission” – the EU’s unelected executive arm. Ninety per cent of Internet searches are made on Google. It is the primary source of information for many voters today and has been estimated to command the power to decide the voting preference of some 20 per cent of undecided voter – 80 per cent for some demographics. Its role in the tight-run EU referendum, therefore, could be decisive. So when the popular and eurosceptic EUReferendum website recently disappeared off Google’s first page of results on the topic – after being the top result for the topic on search engines for more than a decade – eyebrows were raised. The site was founded in 2004 by author and researcher Richard North, was rated by the Financial Times as the UK’s most influential political blog in 2006, and remains the top result for the topic when searched on Yahoo and Microsoft’s Bing. But on Google now, it appears as either the 13th or 15th result, on the second page – below three government pages on the topic, four links to the pro-EU Guardian and Independent newspapers, one to the BBC, and just one to the more eurosceptic Telegraph. Sites lower down get just a fraction of the hits of those at the top of Google’s results. Mr. North, the site’s founder, told The Register that web giant could be losing its integrity, and warned that its incredible power could be used to distort the democratic process. “It is vital that people should realise Google’s potential (or actual) power. What started out as a good working tool has gone the way of the rest – power corrupts and Google corrupts absolutely”, he wrote in an email. Google is widely thought to be the most powerful tech firm in the world, second only to Facebook, which was recently exposed as supporting liberal causes and suppressing conservative voices.